Visit MSR's Flex 3 System page. 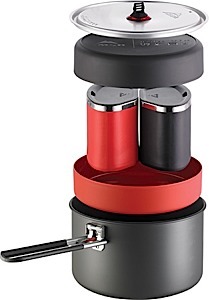 MSR Flex 3 System - The Flex 3 cookware system takesthe unique versatility of MSR's blended-material cooksets and adds the capacity to easily handle groups of three or more. 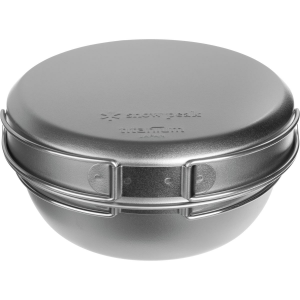 The durable aluminum pots are specially formulated for maximum scratch resistance. 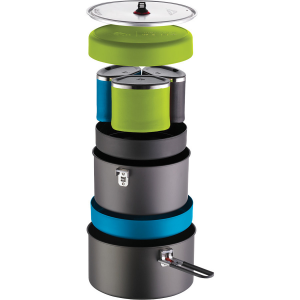 Deep Dish plates and insulated stainless steel mugs serve up the feast. The compact form is designed to nest together, providing optimal packing efficiency. Cook like you do at home with the MSR Flex 3 system. Group cooking and non-stop road-warrior use calls for bigger pots with added versatility, and thatG? ?s what you get with the MSR Flex 3 System. High-capacity, hard-anodized aluminum pots with both coated and nonstick surfaces open up your options for cooking while mugs and plates for three add comprehensive cook and eat utility. MSR Camp & Hike Flex 3 System 5995. 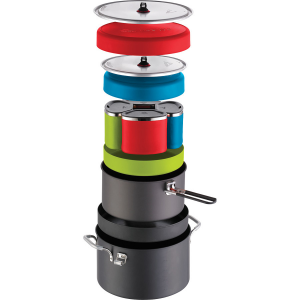 Hard-anodized aluminum pots with nonstick surfaces give the MSR Flex 3 full-featured cook system unmatched versatility. 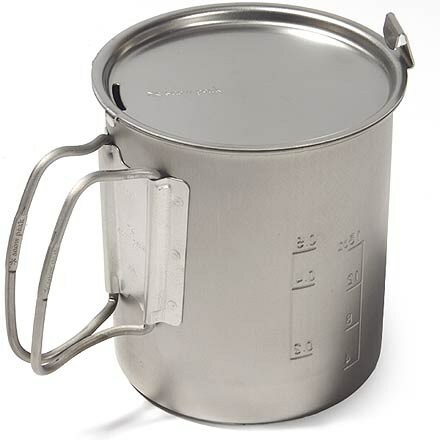 It's perfect for cooking larger or more-involved meals on group adventures whether you're heading into the backcountry or road tripping through the Tetons. You cook for groups and regularly put your mess kit through the wringer; it's not unusual for a road warrior or car camper. 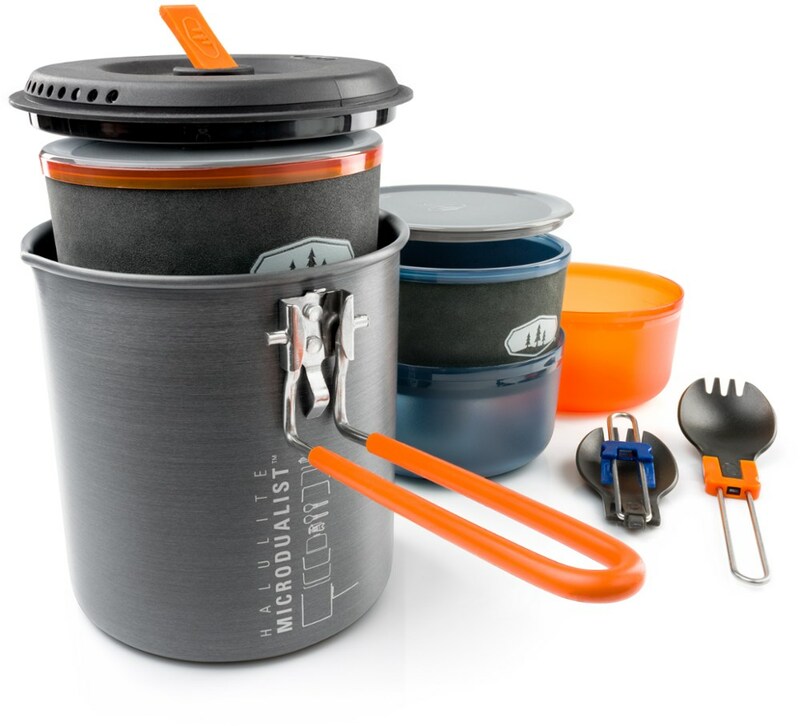 Consider the MSR Flex 3 Cooking system next time you hit the road or the wild. Inside this system you'll find high-volume pots, both uncoated and nonstick cooking surfaces, mugs and plates for three, and cookware designed to nest together to save space. This is the ultimate comprehensive cooking system for group backpacking, car camping, bike touring, or kayak touring.